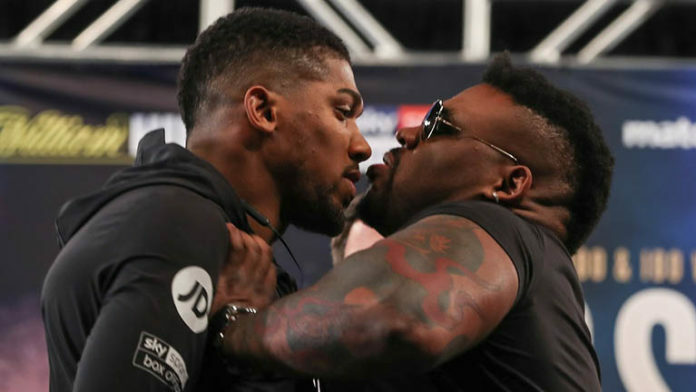 The heavyweight championship fight between IBF, WBA, WBO champion Anthony Joshua (22-0, 21 KOs) and Jarrell Miller (23-0-1, 20 KOs) is in serious jeopardy, as the latter as tested positive for a banned substance called GW1516 or Cardarine. The fight was supposed to take place at the Madison Square Garden in New York and was supposed to stream live and exclusively on DAZN in the US and Sky Sports Box Office in the UK. According to Joshua’s promoter Eddie Hearn, they were informed about an adverse finding in Miller’s sample collected on 20th March, but Joshua will continue to train for his title defence on 1st June. Dmitry Salita took to Twitter to present their official statement. “We are in the process of obtaining further information about VADA’s finding and will have more to say soon on this developing situation. In the meantime, Jarrell continues to train for his June 1 fight against Anthony Joshua.” Their statement read. According to Lift for the World, they reveal how this drug gives an unfair advantage to the Athletes. “Cardarine (GW 501516) is NOT a SARM (selective androgen receptor modulator). Rather it is a Peroxisome proliferator-activated receptor beta (PPAR) agonist which binds to those receptors. This means the activity in the gene is changed, causing a shift in how energy is put out. This translates into an ability to push harder and longer when it comes to endurance, without becoming winded. This can help you not just with cardio/running, but also in the weight room since you can push out another repetition and workout for longer without becoming tired. This is not the first time, Miller has tested positive for a banned substance, He failed a drug test in 2014 when Miller was kickboxing under the GLORY banner. He was subsequently suspended for nine months.